February 14, 1979: A largely forgotten event took place in Afghanistan that still resonates to this day. Adolph Dubs, the U.S. ambassador to Afghanistan, was kidnapped in Kabul and killed in a hotel shootout between his abductors and police. Dubs was nabbed by armed Islamists who were demanding the Communist Government release three Muslim prisoners. At the time though, Cold War tensions in Southeast Asia dominated the headlines. Afghanistan was under the radar. In early 1979 most Americans knew little about Afghanistan, for the most part it was a remote and exotic place. Vietnam on the other hand had been a focal point of the Cold War for nearly two decades. 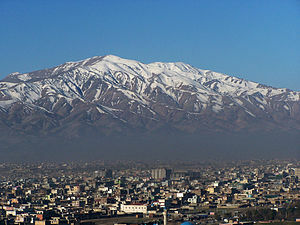 So it’s no wonder that the events in Kabul were largely overshadowed by news of China’s impending invasion of Vietnam. Sino-Soviet relations were growing increasingly combative over Vietnam. China’s beef was over her southern neighbor’s treatment of the Chinese minority there. The Chinese had calculated that the USSR would not, or could not, directly support Vietnam militarily against them. In the preceding weeks Deng Xiaoping had been in the United States cementing American endorsement for the PRC’s intention to invade. The Soviets would certanly have resented American meddling in the neighborhood dispute. They knew the score and may have been eager to even it with the US. Meanwhile, Adolph “Spike” Dubs was being kidnapped and killed in Kabul. Reports at the time of his death were that the room was stormed and Dubs was unfortunately killed, but the facts have been disputed ever since. In the West, the blame for Ambassador Dubs’ death was directed primarily at the ruling Afghan Communist Party, the PDPA, and their Soviet backers. In fact, the culpability of the Islamist kidnappers has been largely ignored. Supporters of this view argued that the police, with Soviet guidance, ignored objections from American diplomats and assaulted the hotel room. That it was not so much a “rescue mission” as it was the intentional slaughter of everyone, including the American ambassador. Whatever really did happen, one thing is certain; the tragic episode called America’s attention to the growing Soviet influence in Afghanistan. In fact, it’s not a great stretch to say that the Dubs incident was a crucial diplomatic flashpoint in the run-up to the Cold War’s last battleground. The outraged Carter administration accused the Soviets of involvement, at the very least in the bungling of the so-called rescue. Moscow denied all charges of course. Carter responded by removing the U.S. diplomatic presence in Afghanistan. In fact, after Dubs death, the U.S. did not have an ambassador to Afghanistan until 2002. More importantly, as part of Cold War strategy, Carter and National Security Advisor Zbigniew Brzezinski began to covertly fund and train anti-government Mujahideen forces in Afghanistan. To do this, the CIA was dispatched to the region to team with the Pakistani secret service agency known as Inter Services Intelligence (ISI). That was the situation on Christmas eve 1979, the day the Russians invaded Afghanistan. For an excellent treatment of how the Afghan/Soviet war influenced the rise of today’s terrorist movements see Ghost Wars by Steve Coll, which begins pretty much where this essay leaves off.